Summary: Even if you're in the market for a non-inflatable, this board stands up to the competition and is a great board for any level athlete. The new design of this board makes it even easier to use. 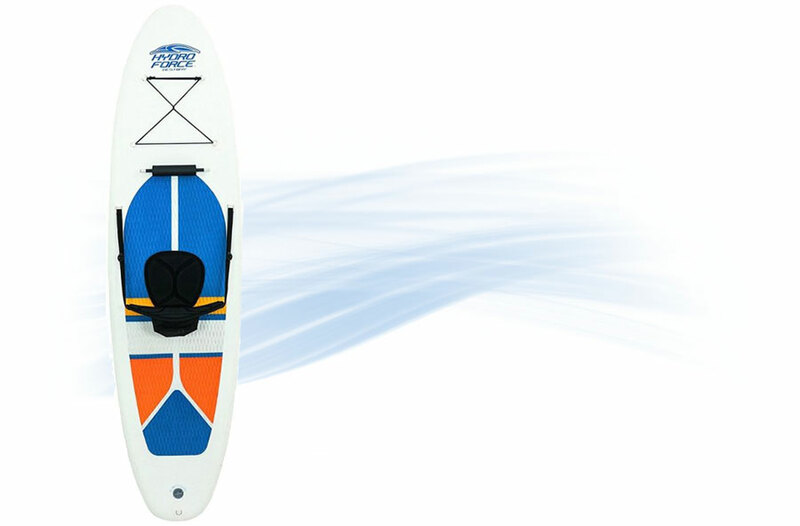 The Tower Paddle Boards Adventurer 2 iSUP 10′ 4″ is a great package with a ton of features, making it a water ready package right out of the box! The extra features, simple set up and extra long/extremely rigid design make this one of the better, if not one of the best, inflatable boards on Amazon this summer. Even if you’re in the market for a non-inflatable, this board stands up to the competition and is a great board for any level athlete. The new design of this board makes it even easier to use, and with the 2 year warranty and 5 extra features included, it’s a great price. Currently, the Tower Paddle Boards Adventurer 2 has over 100 reviews on Amazon, with a 4.8/5 star rating. We’ll take you through an over view of the board to confirm whether or not it lives up to the hype! Let us walk you through the features, best uses, and add-ons so you can get a sense of just how great of a package this board really is. 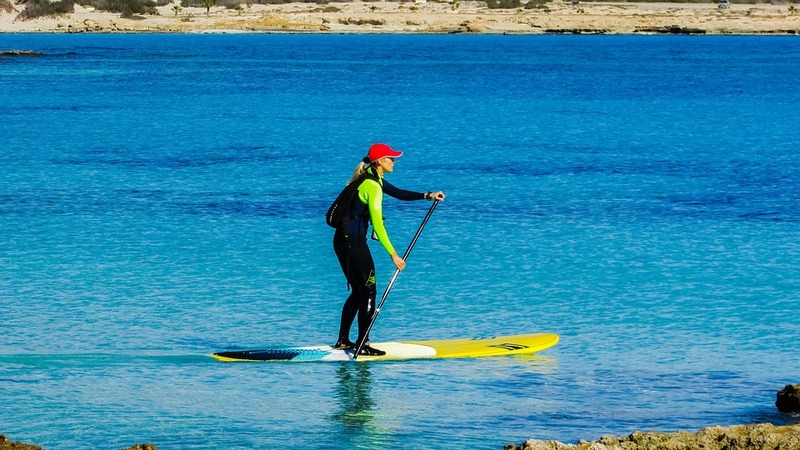 The Tower Paddle Boards Adventurer 2 comes with a lightweight, removable fiberglass fin – perfect for storing or transporting the board. 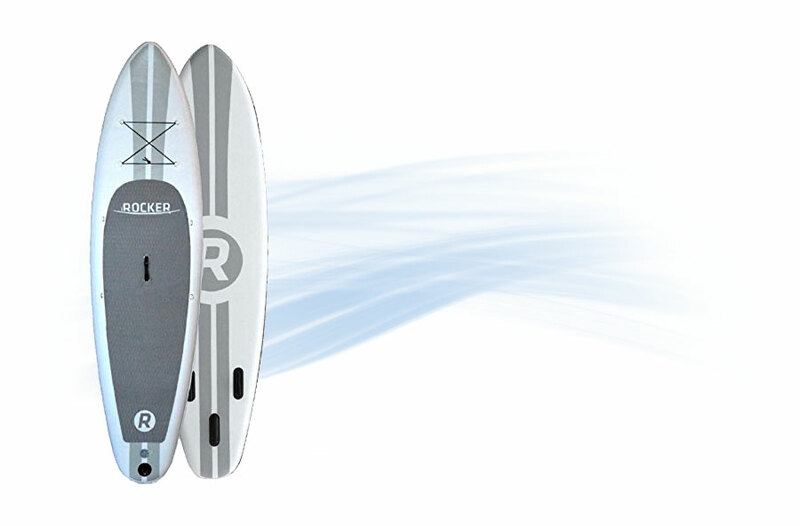 The Adventurer 2 stands at 10 feet 4 inches, making it one of the longer boards on the market. 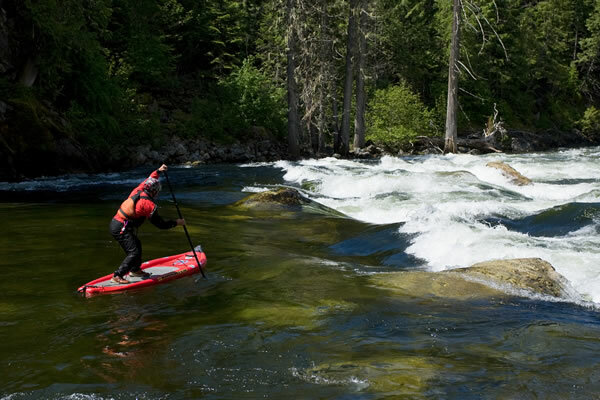 Due to the extra length and the extreme rigidness of the board, the Adventurer 2 can support riders up to 350 lbs on water, making it a great choice for taller or larger athletes. 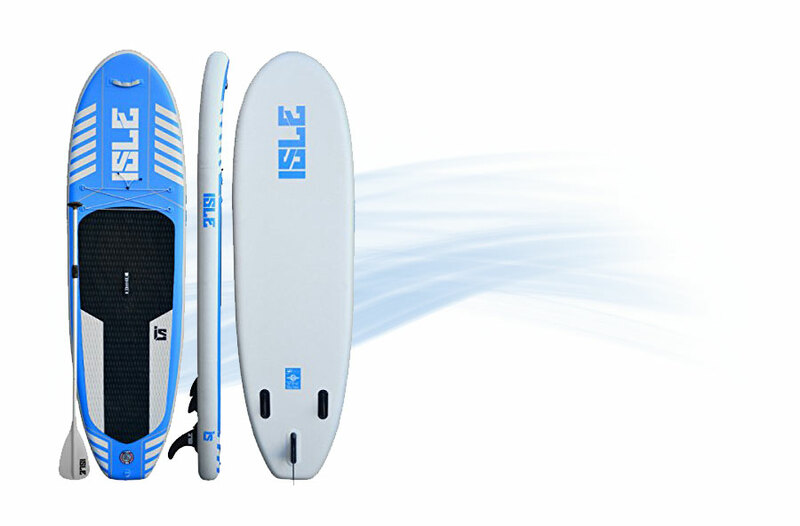 This iSUP board is extremely easy to inflate with the use of a hand pump. Once inflated, it becomes one of the most rigid boards on the market. Tower uses the same materials found in Zodiac boats and extreme river rafts, making it nearly indestructible too! The military grade PVC material and drop stitch construction mean you never have to worry about the board getting gouged or scratched on any surface. The 6″ thickness is also one of the most robust on the market. The extra thickness allows riders to have a more stable ride, higher above the water, letting you avoid wet or slippery feet if you desire. Once you inflate the board, all you need to do is press the center fin into the bottom of the board, lengthen your collapsible paddle to your desired height, and enjoy! The padded top make for a softer, more comfortable ride on the feet, and the extra width makes it super stable for bumpy or smooth conditions. 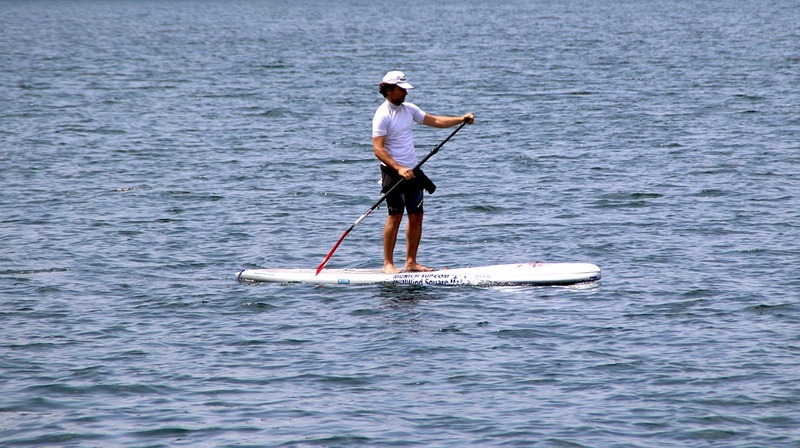 The length adds stability and agility, and the board should glide through the water quickly. The front Bungee in this new model is also great for storing your shoes, shirt, water bottle, or hat while out and about. 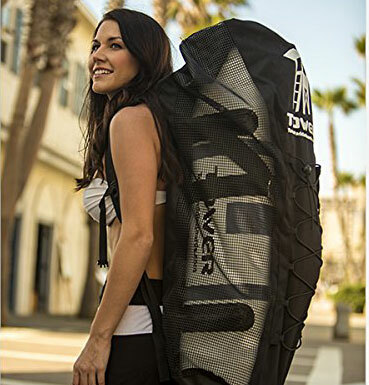 When deflated and rolled for transport, the board is just a mere 33″ wide, with a 1′ diameter, making it perfect for closet or boat storage, as well as easy transportation in the car, on a bike, or even in a suitcase. This board is great for all levels and ages. 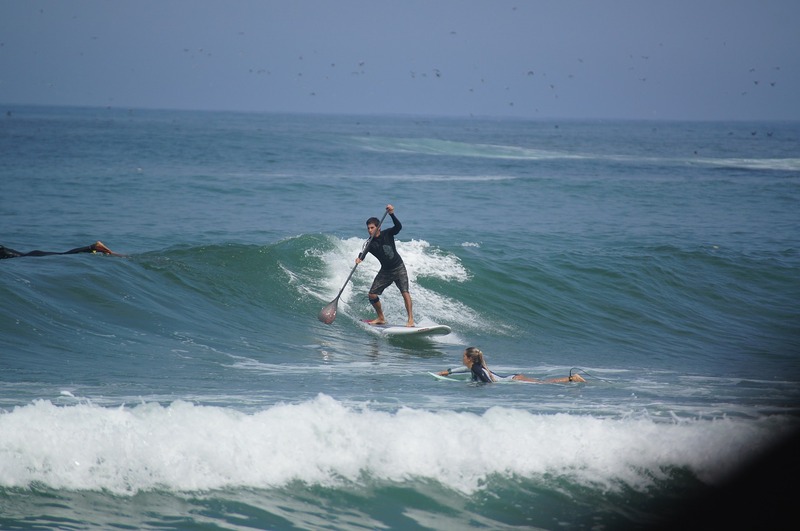 The stability and length, as well as the soft top, make it great for beginners and kids, as well as seasoned stand up paddlers looking for extra comfort. The added length also makes the board a great performer in a variety of conditions. Flat lakes, rivers, and bays will be enjoyable on this board, but it will also be able to attack choppier salt water too. Watch the video below that shows a consumer review of the board and it in action. It should be noted, that the weight of the board is 25 lbs. Although it is perfect for any age in the water, you may have to assist a younger child in carrying and setting up the board. A small price to pay for the stability, comfort, and safety they’ll experience when they get the board out on the water. 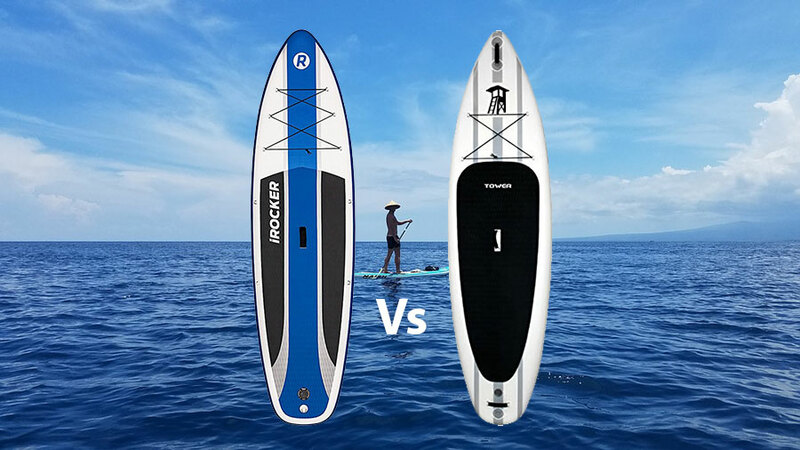 With the Tower Adventurer 2 you get the newly designed Adventurer board (includes front bungee, front, rear, and center carrying handles) but you also get a fiberglass fin and adjustable paddle, as well as a hand pump for your board. Even more importantly, all Tower boards come with a 2-year manufacturer’s warranty which covers all aspects of the board besides normal wear and tear. This video shows how easy it is to set up and everything that is included, make sure you order the complete package and not just the board so you also get a pump to inflate the iSUP. Below we included a list of the main pros and cons of this board. Great new features: the extra handles make it easy to carry and the front bungee is a great add on making it convenient to carry items with you on your ride. 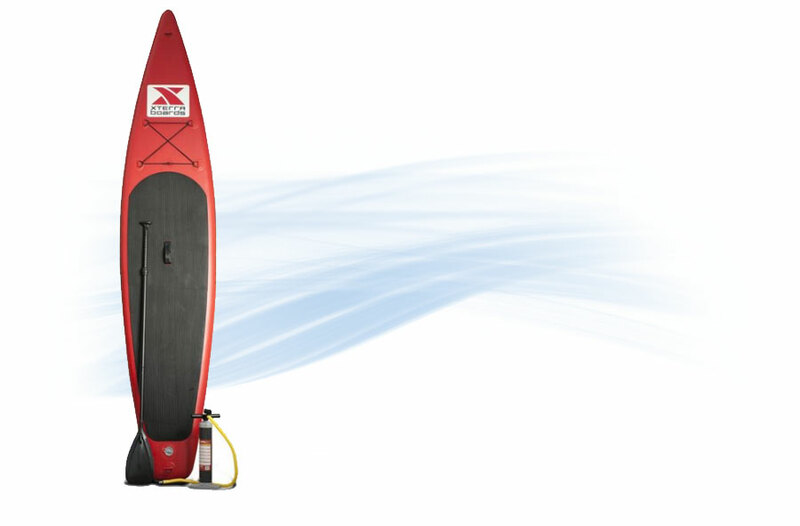 Comes with everything you need: with the added fin, paddle, and pump, you’ll be ready to get on the water as soon as you get the package out of the box. Rigid and stable: with the extra length and thickness, this is one of the more table boards on the market; making it great for beginners who are trying to learn, or seasoned stand up paddlers who like to test their limits. Easy to transport: the collapsible size makes this board great for easy storage and transportation. Store it in your closet at home, or throw it in your suitcase or car for your next beach vacay! Great design: this board looks great too. 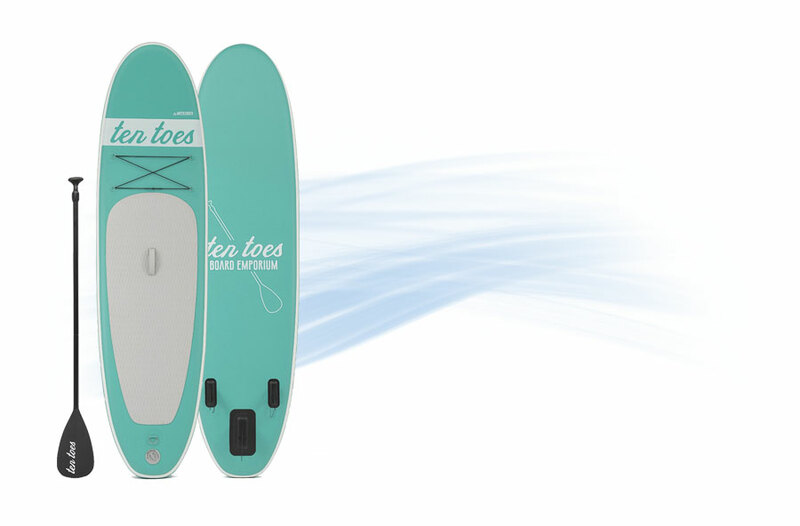 The classic design and clean lines make it a good looking board for men, women, and children alike. 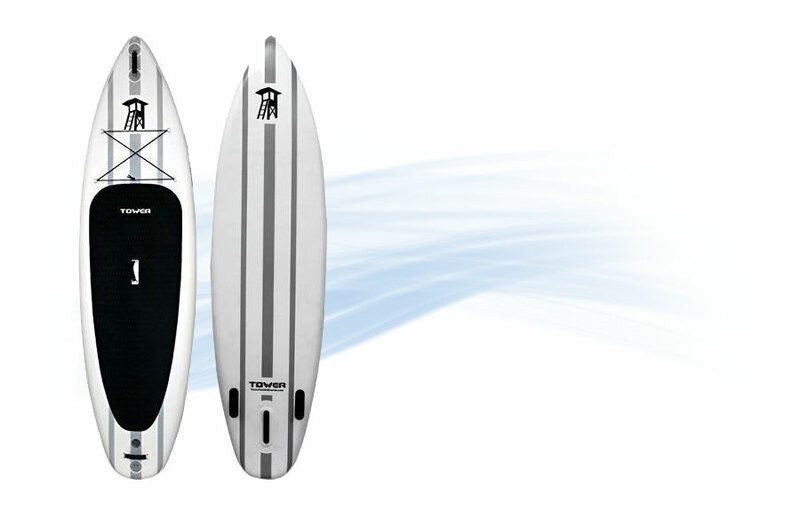 2 Year Warranty: Towers warranty protects against any defects or malfunctions with the board. Weight: The weight of the board is 25 lbs. 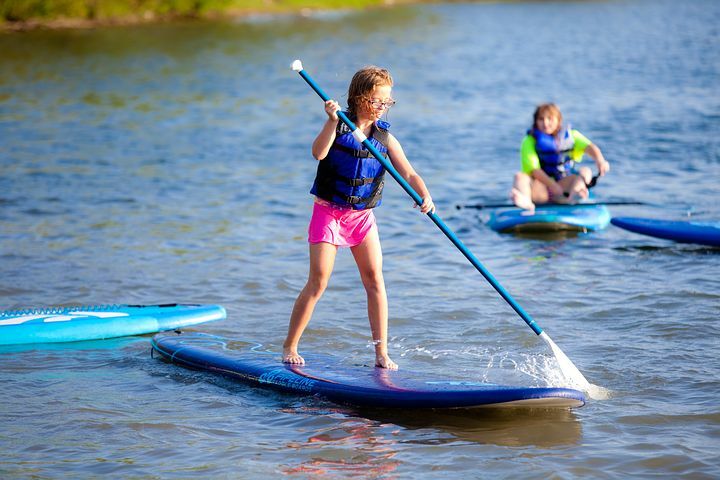 While this is great for making it extremely stable on the water, you should definitely consider the weight if you’re planning to buy this board for a younger child as they may have some difficulty carrying the board. 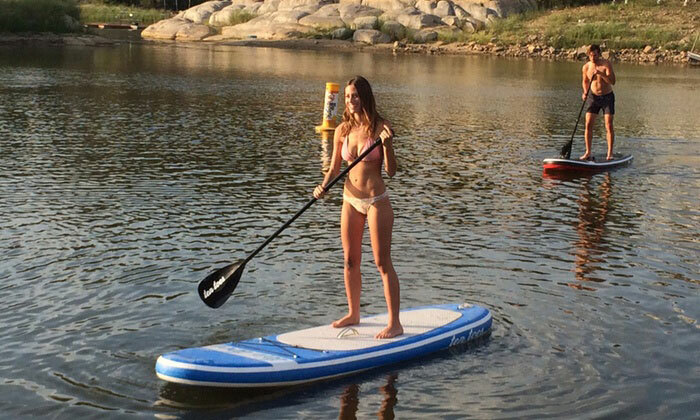 The Tower Paddle Boards Adventurer 2 is a fantastic package. It arrives ready to go, out of the box, with everything that you need to get out on the water quickly and easily. The redesign of the classic and good selling Adventurer is great with the extra carrying options and added bungee. The fact that this is one of the longest and thickest boards on the market makes it nearly unparalleled in stability and comfort. 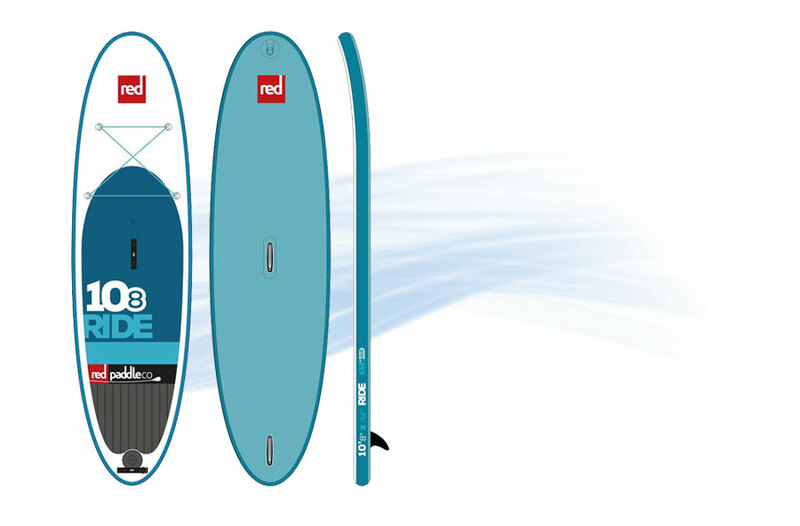 Overall this is a great board for any first timers and seasoned stand up paddlers. It can handle pretty much anything you throw at it, and the added stability helps beginners get comfortable on the board, while allowing experts to push themselves without the worries of a shorter or flimsy board. This board is the perfect choice for a first time SUP, but is also a great purchase for experienced paddlers looking to try and inflatable, or looking to replace and existing one.